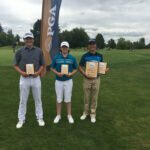 The 2018 Pacific Northwest Section Girls Junior PGA Championship and the 2018 Pacific Northwest Section Boys Junior PGA Championship took place this weekend at the OGA Course. Winning the 16-18 girls division was Victoria Gailey. She and Lauryn Nguyen will represent our Section at the National event they qualified for this July. 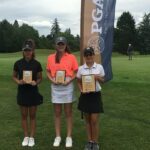 They head to the 43rd Girls Junior PGA Championship, hosted at Kearney Hill Golf Links in Lexington, Kentucky. Ian Siebers won the boys 16-18 age division. He will be joined by Preston Bebich and head to represent us 43rd Boys Junior PGA Championship, hosted at Valhalla Golf Club in Louisville, Kentucky. 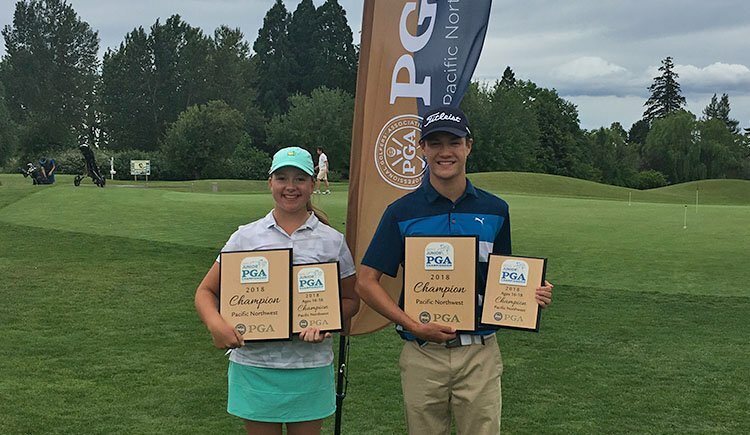 Suzie Tran of Poulsbo, WA won the girls 13-15 age division while Brandon Eyre of Salem, OR. 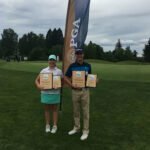 Nichole Koong of Sammamish, WA won the girls 12 & under while Drew Woolworth of Lake Oswego, OR. To view results of the Girls Championship, please CLICK HERE. To view results of the Boys Championship, please CLICK HERE. 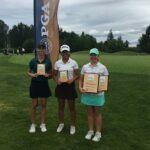 Champion Victoria Gailey of Tigard, OR and Lauryn Nguyen of Seattle, WA are going to join 144 of the nation’s top female junior golfers in the PGA of America’s premium junior event, the 43rd Girls Junior PGA Championship, hosted at Kearney Hill Golf Links in Lexington, Kentucky. Kearney Hill Golf Links played host to the 2007 Women’s Amateur Public Links Championship and has been ranked in the Top 10 courses in the state of Kentucky by Golf Digest. 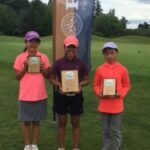 The 43rd Girls Junior PGA Championship will be held from July 9-12, 2018. 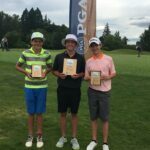 Champion Ian Siebers of Bellevue, WA and Preston Bebich of Gig Harbor, WA are joining the 144 of the nation’s top male junior golfers in the PGA of America’s premium junior event, the 43rd Boys Junior PGA Championship, hosted at Valhalla Golf Club in Louisville, Kentucky. Valhalla Golf Club played host to the 1996, 2000 and 2014 PGA Championships, as well as the 2008 Ryder Cup. The 106th PGA Championship will also be contested at Valhalla Golf Club in 2024. 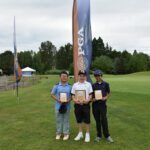 The 43rd Boys Junior PGA Championship will be held from July 31-August 3, 2018. Each of the 41 PGA of America Sections will receive two invitations for both events. One for the Pacific Northwest Section Junior Champion and the other a Pacific Northwest Section At-Large Bid. Junior girls must be no older than 18 years of age on July 12, 2018. Junior boys must be no older than 18 years of age on August 3, 2018. The Girls Junior PGA Championship is where some of the best in the world get their start. Many of today’s LPGA Tour professionals made their debut at the Championship. Notable past participants include: Inbee Park, Lexi Thompson, Cristie Kerr, Grace Park, Michelle Wie, and Dottie Pepper. The Boys Junior PGA Championship is where some of the best in the world get their start. Many of today’s PGA Tour professionals made their debut at the Championship. Notable past participants Include: Tiger Woods, Justin Thomas, Jordan Spieth, Stewart Cink and Phil Mickelson.